In an incredibly strong condemnation of animal cruelty in the wake of several highly-publicized attacks on the wildlife, an official in Saudi Arabia has called those who torture animals "terrorists and criminals." 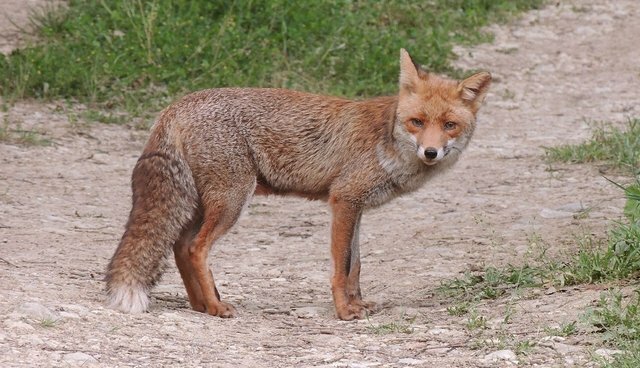 On Saturday, graphic footage was posted online showing a group of men dousing a caged fox with flammable liquid before setting the animal alight. According to several English-language news outlets, one of the men can be heard saying that the animal is being punished for eating chickens. Saudi newspaper Arar reports that the torture and killing of foxes is spreading throughout the region, with at least two other cases occurring within the last few months. While it's unclear what might be driving the uptick in cruelty toward animals, officials say that such acts are unacceptable. Prince Bandar Bin Saud Bin Mohammed, who serves as president of the Saudi Wildlife Commission, is quoted by Gulf News as calling the torture of animals "totally against human nature and values," likening the perpetrators to members of ISIS. "Their behaviour is exactly like what the members of the so-called Islamic State are doing, killing without mercy," says Prince Bandar. "Torturing an animal to death is not and cannot be condoned by anyone who claims he is a Muslim. And filming this abominable act to show off makes our heart bleed and deeply disturbs everyone who respects life." Prince Bandar has vowed to bring those responsible to justice, appealing to both the police and the public to help identify those responsible. "These are terrorists living in the dark," he says. "We must all stand against them because they have violated the basic values of humanity. Foxes, like all people and animals, have rights. Our religion has laid out very clear instructions on how to behave and deal with animals."